Essential oils are useful and beneficial for mixing into skincare oils, creams, or salves because of their high absorbency and many benefits for the skin that can amplify the benefits of the fatty carrier oil. Generally speaking, you would use these very potent essential oil concentrates diluted in a carrier oil such as jojoba, evening primrose, argan, or rosehip seed (as you can read about in our article on Carrier Oils for Healthy Skin), in a skin cream base mixed in, or mixed into a balm or salve. The reason is that essential oils are drying and can be irritating when applied directly, and because they absorb into the bloodstream at varying rates through the skin, the internal effects can be strong if not properly diluted. Therefore, it is generally recommended that you dilute essential oils to 0.5-3% dilution for applying to larger areas of the skin, like in a massage or body oil, for example. This means that you would would use approximately 5-25 drops/fluid ounce of carrier. Use the lower amount if someone has particularly sensitive skin, or you are applying to a baby’s skin. For smaller surface areas, like treating acne on the face, or treating a rash or infection in a particular area, you can go up to a 5-10% dilution, which means you would use approximately 45 – 75 drops/fluid ounce. Here are some of the most useful essential oils for applying to the skin. Frankincense – considered a good oil for dry/mature skin types, it is used to help reduce wrinkles & promote tissue repair. German chamomile – anti-inflammatory, antispasmodic, analgesic (pain reducing) – good for generally irritated or sensitive skin, inflamed skin conditions. Helichrysum – vulnerary (wound healing), tissue regenerative, anti-inflammatory – good for any number of inflamed skin conditions and scarring, as well as muscular aches/pains, strains, & rheumatic pains. 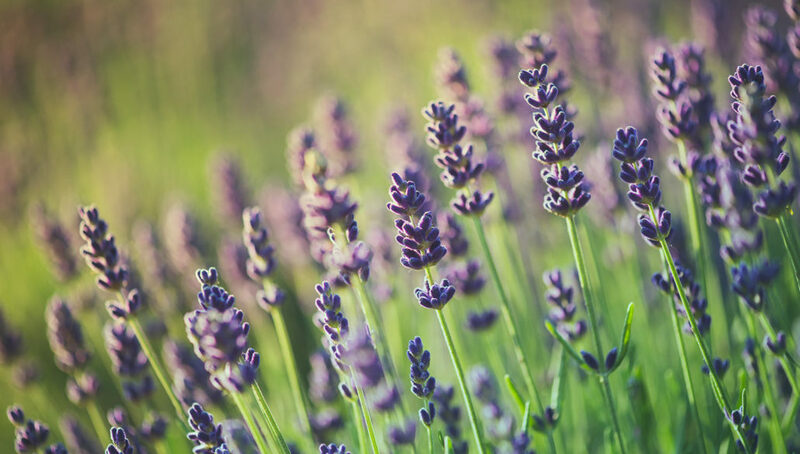 Lavender – anti-inflammatory, vulnerary (wound-healing), antimicrobial, antispasmodic – a good general skin-healing herb for all skin types and inflamed skin conditions. Rose – astringent, soothing, anti-inflammatory – good for tonifying skin and strengthening capillaries; good for mature skin. Tea tree – one of the best broad-spectrum antimicrobial and antifungal essential oils, as well as having healing benefits for the skin. Great for acne, fungal infections (athlete’s foot, ringworm), head lice, etc.